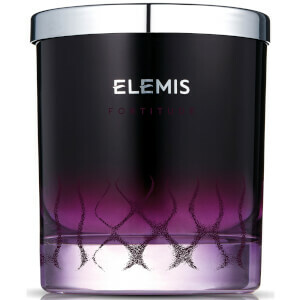 Fill your abode with an empowering fragrance with the Elemis Life Elixirs Fortitude Candle; a powerfully aromatic candle that inspires a sense of confidence and determination. Arriving in a branded, purple glass tumbler with a stainless steel lid, the luxurious Fortitude Candle will complement and enhance any room in the home. The candle is created with a combination of 19 pure essential oils, including delicate Ylang Ylang, harmonising Cedarwood and restoring Geranium to deliver an empowering scent with a strengthening effect. Simply light the wick, close your eyes, drop your shoulders and inhale the harmonising scent.